Home / Spirituality / Subpriory of Our Lady of Lourdes / What Does It Mean to Be in Obedience? 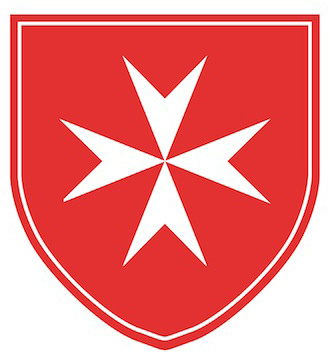 Both Professed (First Class) and Knights and Dames in Obedience (Second Class) belong to the Subpriory. 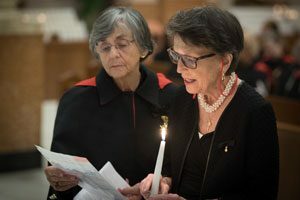 The Subpriory draws its membership from the Third Class and is intended to be a guide to the Third Class in the development and practice of their spirituality. The Regent, elected by the membership and appointed by the Grand Master, is the religious superior of the Subpriory. Under the Code, the Regent may be chosen from among the First or Second Class members of the Subpriory. The Promise of Obedience as a “Life Decision” and a higher commitment to the Order. The bond established by the “Promise” of Obedience is stronger than the promise made by Tertiaries or Oblates in other Orders. Obedience is a “life decision” before God through one’s religious superiors in the Order. Withdrawal from the Promise of Obedience is permitted only with the permission of the Grand Master, with the vote of the Sovereign Council. The “Promise”, which binds in conscience, obliges members to a life leading to Christian perfection in the spirit of the Order and in the sphere of its works. Members must diligently observe the divine law and the precepts of the Church so as to be a constant example of piety and virtue, of apostolic zeal and of devotion to the Holy Church, and undertake to utilize their temporal goods according to the spirit of the Gospel. Specifically, this is done by attending Holy Mass frequently and by reciting prescribed daily prayers, taking part each year in a three-day silent retreat of the Subpriory, and by regularly seeking the counsel of a Spiritual Director. A member in Obedience is also obliged to be an active member of one’s Association to the extent of one’s abilities and circumstances. To become a Knight or Dame in Obedience is to become a member of a spiritual family (the Subpriory) within a larger family (the Association) and to continue to help those in need, follow the Word and receive the Sacraments on a regular basis. Membership in the Subpriory is NOT to step away from the Association and its charism but rather to enter more deeply into the mission of the Order to witness the Faith and to serve the poor, sick, and all others in need! Moreover, Knights and Dames in Obedience do NOT enjoy privileges or precedence with respect to other members of the Order.